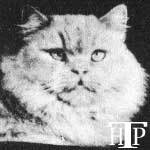 The 'Cream' Persian, it may be claimed, arose in part due to the emerging popularity of the 'Blue' Persian as the stud male of choice for type or conformation. 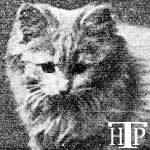 Tortoiseshell females were bred to Blues, resulting in Torties carrying the dilution factor. 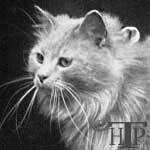 When these were mated back to Blues again, Cream males and Blue-cream females resulted. 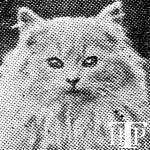 Some of the earliest Blue-Cream females were described and registered as 'Blue and Buff' until the terminology was fixed to become 'Blue-Cream'. 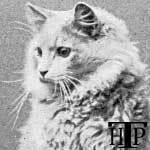 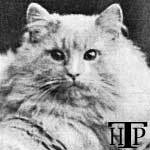 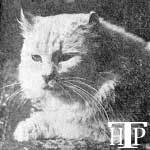 The first Cream males in the Register of the National Cat Club were 'Devonshire Cream' (NCC:1426) born in 1893, owned by Mrs. McLaren Morrison; and 'Cupid Bassanio' (NCC:1457), who was the earliest, born in 1890, bred by Mrs. Kinchant and later owned by Miss M. Norman. 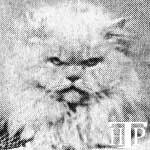 'Cupid Bassanio' unfortunately died in 1894. 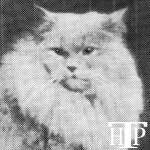 'Romaldkirk Fluffie' (NCC: 1955) the Blue and Buff female born in 1892 and owned by the Misses Beal, became one of the early consistent producers of Cream male progeny. 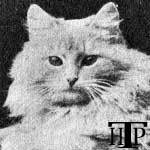 Her sons from litters born in 1895 and then in 1896, brought Creams to the fore; the latter mating to the Blue 'Romaldkirk Laddie' producing both 'Romaldkirk Admiral' and 'Romaldkirk Midshipmite', who became duly famous as 'The Heavenly Twins'. 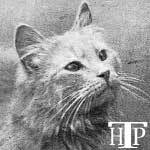 "Jael was quite unique as an orange female, and at fifteen years of age could yet win in her class by reason of her grand colour, perfectly shaped head, short face, and tiny, well-set ears. 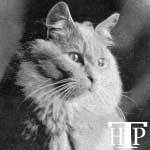 Such a cat stands out in any breed, and such a cat may never again be bred. 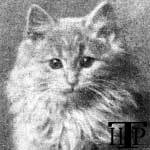 Jael died in 1902 after a long and successful career." 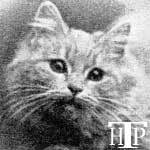 What this tells us, is that 'Jael' was both the source of the 'o' gene in 'Romaldkirk Fluffie' and although 'Jael's' registration with the National Cat Club shows no date of birth, she must have been born as early as 1887. 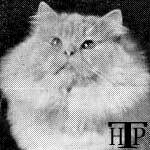 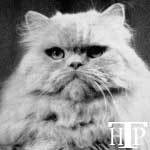 Given that her dilute Cream grandson, 'Romaldkirk Admiral' was in his turn the grandsire of both 'Kew Laddie' and 'Kew Ronald', this shows how from one line of dilutes descended from 'Jael', a dynasty of Cream Persian cats was created in both England and in the United States. 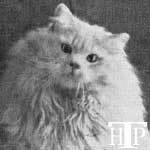 'Romaldkirk Midshipmite' was also the sire of Mr. Norris's famous Cream male, 'Matthew of the Durhams', bred by Mrs. Darcy Hildyard. 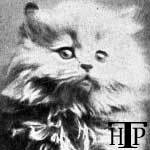 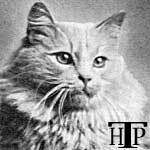 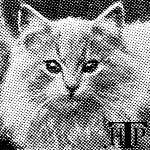 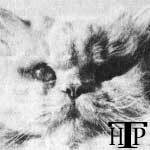 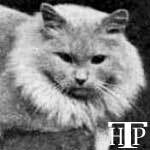 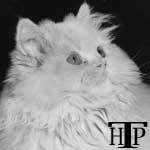 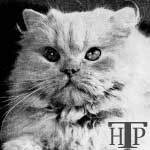 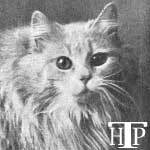 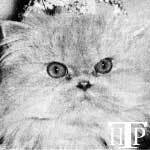 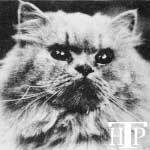 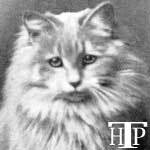 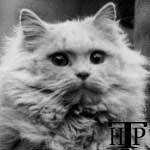 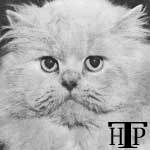 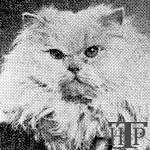 "The cream or fawn Persian was a few years ago looked upon as a 'sport' and when cream kittens appeared in an orange strain they were considered spoilt oranges, and were either given away or sold for a few shillings.....now however, it is very different." 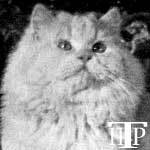 "Creams are of a modern colour in Persians, but are now being more freely bred and finding numerous supporters. 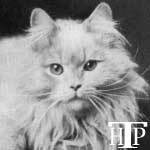 There are however, very few good ones in the fancy, for size, and colour are difficult to obtain. 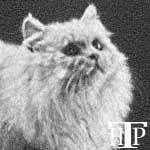 The great failing with them is that, although they are called cream cats, the best and soundest coloured ones are really of a fawn shade. 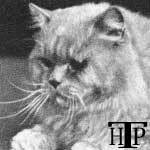 So many show markings, patches, or shadings, whereas the colour should be one shade and sound throughout; better to be a little dark in colour, rather than shade from cream to white, as is the case with so many specimens exhibited." 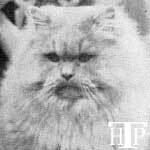 Now, with the advantage of hindsight, we know that Cream Persians over time became extremely popular, in some outstanding cases favourably competing and defeating their Blue dilute counterparts for top honours at shows. 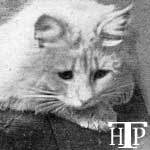 The colour also improved, with cats being produced which were both very sound throughout and yet of a beautifully pale and even shade of cream, often with the most contrasting deep copper eye colour. 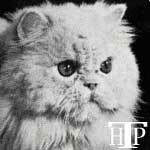 Just four of the many Cream Persian cats of historical significance include 'Beamsley Sunshine of Gaylands', imported from Great Britain, whose lines mixed well with those already established in the United States; and later, three cats which took the colour cream to the pinnacle of show achievements, by winning the coveted honour of being named CFA 'Cat of the Year'. 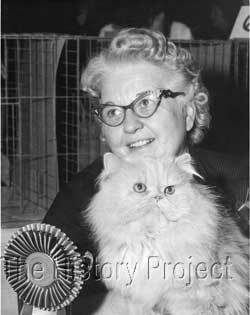 They were, Frances Kosierowski's 'GC, NW Rosemont Golden Boy', 'CFA Best Cat' in 1958; followed closely by 'GC, NW Chez Moumette Cal of Nor-Mont' bred by Elaine Owens and owned by Mrs. Merald E. Hoag, who took out 'CFA Best Cat' in 1962, and finally the magnificent 'GC Castilia Pekoe of Nor-Mont', bred by Marcena Myers and owned by Mrs. Merald Hoag, who took the 'CFA Best Cat' title in 1968. 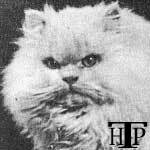 Although initially from the most humble of beginnings, the 'cream' proverbially 'rose to the top', establishing itself as one of the most prized of the solid colours.